Guy Clark was a revered if not renowned figure long before he got his proper due. 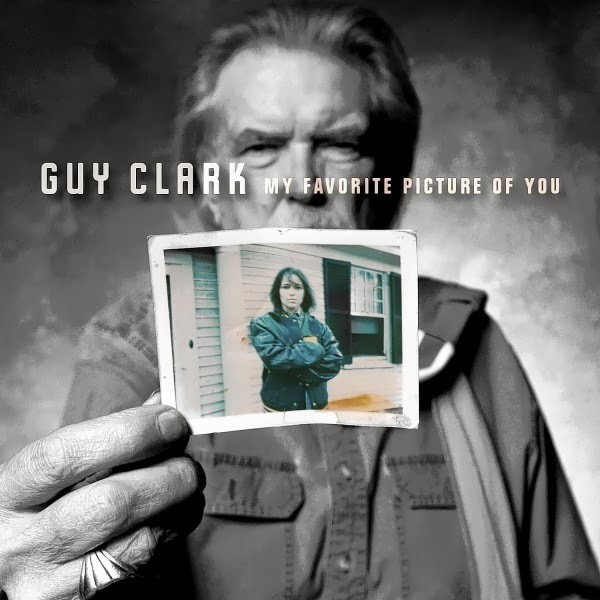 That didn’t come until 2011 with This One’s For Him: A Tribute To Guy Clark, for which the likes of Vince Gill, Rodney Crowell, Emmylou Harris, and Kris Kristofferson sang his praises by singing his songs. Thanks to the diversity (not to mention the mainstream popularity) of many of its contributing artists, the double-disc set not only celebrated Clark’s distinctive artistry but also illustrated it in arguably more of a universal light. However, it’d be difficult for anyone who knows little about the 71-year-old singer/songwriter’s life not to feel some underlying sense of loss or unspoken grief when listening to his latest LP, My Favorite Picture of You. The album cover alone is enough to put a lump in your throat. In a nod to the wistful title track, Clark holds a faded Polaroid of his wife of 40 years, Susanna, who passed away in June of last year following an extended illness. An esteemed and successful songwriter in her own right, she was an indispensable catalyst for her husband’s career, not to mention a muse for who-knows-how-many of his songs. That’s not to suggest Clark dwells in themes about loss here, but in moments where he sings most evocatively of human suffering, be it of the heart (“Hell Bent on a Heartache”) or of the mind (“Heroes”), his stalwart drawl seems a bit more solemn and maybe a bit more lonesome than it has before. But that’s life, and few artists bring its essence to bear like this Guy.